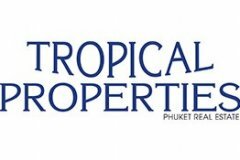 Phuket Tropical Properties is one of the island’s longest-running and trustworthy real estate agencies, offering extensive services in buying, selling and renting properties on the island. Specialising in villa and condo sales and rent, both new builds and resale, we also have a large number of land sites available for sale. Operated like a family orientated business, where customer relations are the most important commodity has been the success story behind the Phuket Tropical Properties real estate company. Proof of this can be seen by an array of positive and highly satisfied client testimonies. The owners of the agency first visited Phuket on holiday and decided they wanted to set up shop on this beautiful island, in the same way that most of their clients have done in the past and present. The agency is not just about selling and renting out real estate, we aim to find the right property based on your requirements, lifestyle and budget by listening and understanding hat you are looking for. We also represent international buyers looking to invest in the Phuket real estate market. Modern Studio Condominium in Patong for Sale. Modern Studio in Patong for SaleThis property located in Patong which is not to far from the beach and other facilities such as Shopping Center, Restaurants etc. Studio condo with one bathroom and balcony with pool view and parking area. Luxurious 1 Bedroom Pool Villa in Layan For Sale. 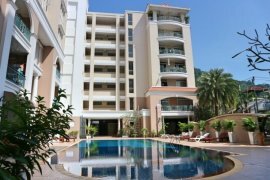 Ocean View Condominium in Kata for Sale. Ocean View Condominium in Kata for SaleThe property located in Kata beach. It is 1.5 km. from the beach.2 bedrooms and 2 bathrooms with complete kitchen, spacious living room and large balcony over looking Kata beach and Andaman sea. Beachfront Condominium in Surin for Sale. House in Kamala for Sale. Ocean View Apartment in Kamala for Sale. Beachfront Land in Paklok for Sale. Luxurious Condominium in Layan for Sale. Beach Front Land in Kamala for Sale.. Private House in Kathu for sale. 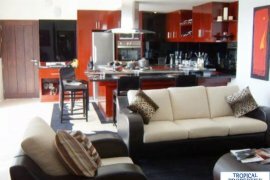 Sea view apartment in Patong for sale. Modern Pool Villas in Cherng Talay for Sale. 2 Bedrooms Condominium in Surin for Sale. 4 Bedrooms Villa in Chalong for Sale. Brand new beach Resort Apartments in Natai for Sale. Lovely House in Patong for Sale.